Clover Autrey, Fantasy and Romance Writer: Flying in Arizona. 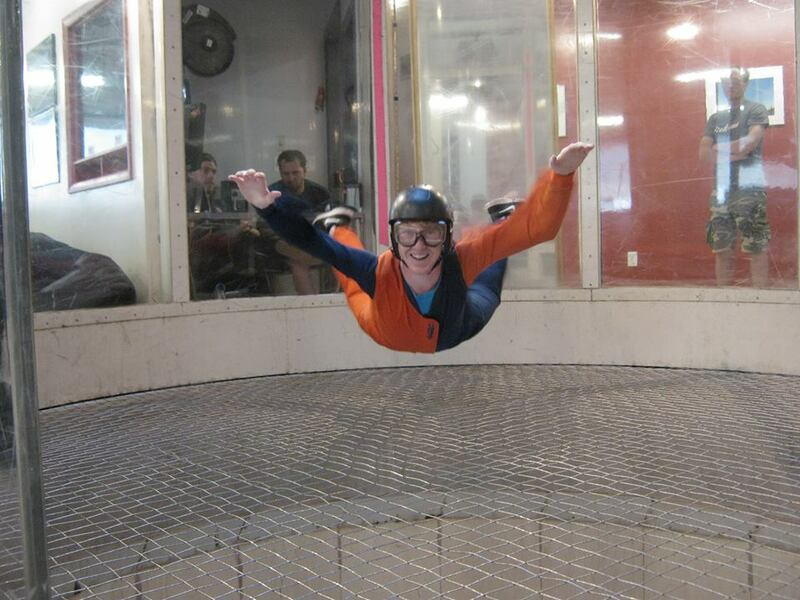 Okay, maybe not flying flying, but as close as you can get besides free-falling from an airplane. 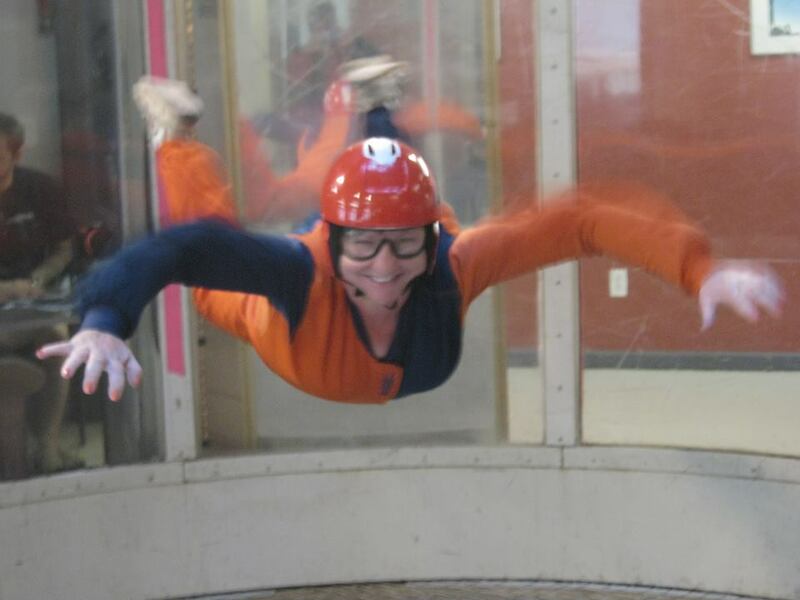 My big sis Bekie has been skydiving for 30 plus years and as been on all sorts of teams and traveled the world to join in skydiving competitions. 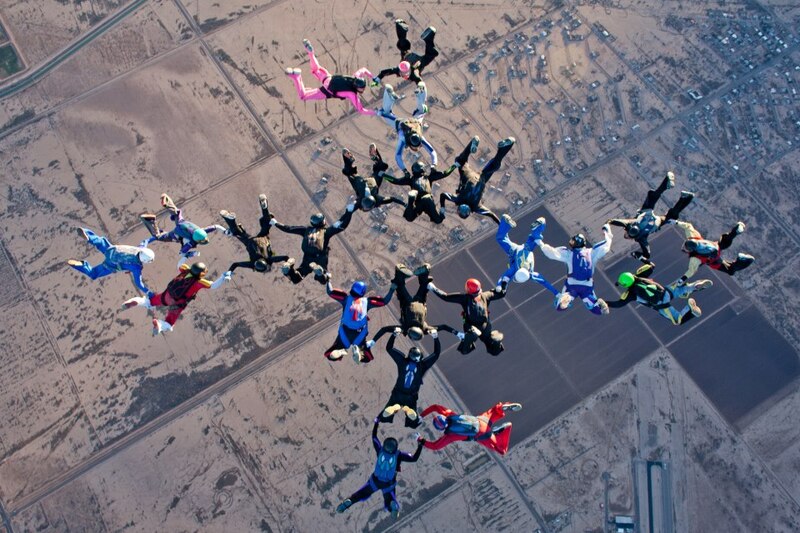 That's her below, the farthest to the right. She's so in to skydiving that she moved to Arizona to be near the biggest hub of skydiving (since AZ has the best year round weather for it). She works as a pediatric nurse in Phoenix where she owns a condo, and then she bought a house 5 minutes from the airport in Eloy. I've visited her before and did the wind tunnel about two years ago. Let's just say I was not that coordinated and the instructor didn't dare let go of me cuz...well, hello Plexiglas wall. I thought it would be something the boys would really enjoy for a mini affordable vacation, plus get to spend time with my sister, so off we drove to Eloy in the hottest time of the year for Arizona. Yeah, the time most residents are scrambling to leave on take a milder vacation someplace else. 111 degrees outside? I defy you. Okay, maybe not. It was hot. Not gonna lie. But timing, ya know. June was the only time all our schedules converged to give us time off. 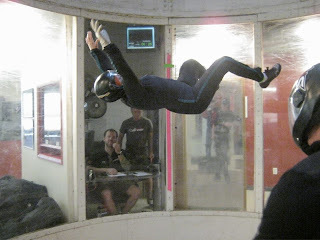 And the guys loved LOVED the wind tunnel. The boys were naturals at it. Even I was pretty good the second time around. I could stabilize myself this time and not wing off out of control so that's something. And even Bekie took the opportunity to learn new tricks since she's not that great at flying on her back. This is her working on that skill below. 52 and looks great. That's me above. I'm holding my own position without anyone holding me in place. I impressed myself. Kyle above, twisting and turning as though he's been doing it for years. Show off. And Tate's below looking like he's about to sprout wings. 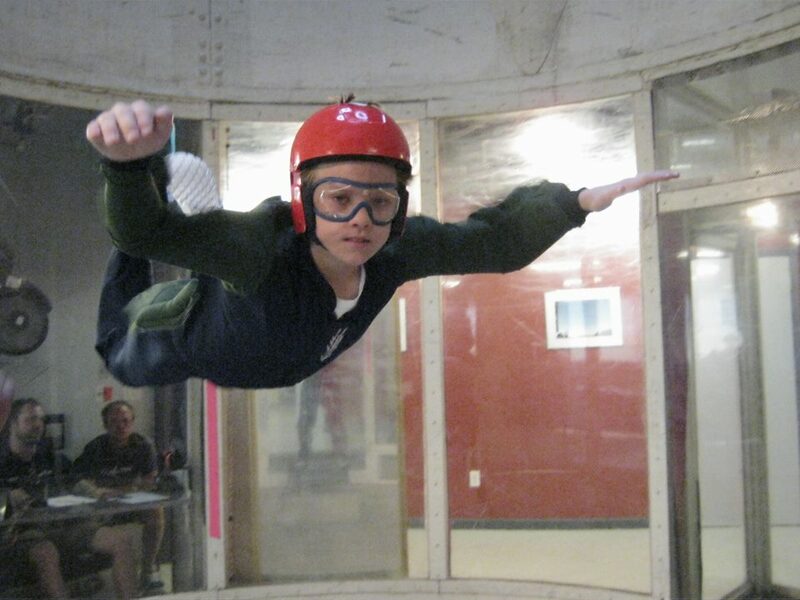 Anyway, if you're out in Arizona between Tucson and Phoenix stop in at the wind tunnel at SkyVentureArizona They were great.